4817 Napa Ridge Way, Louisville, KY 40299 MLS #1335694 is a lovely 3 bedroom home in the Silver Oaks subdivision of Louisville, Kentucky. The front porch is warm and inviting and the open Foyer features sparkling hardwood floors that flow into the Great Room and Formal Dining Room. 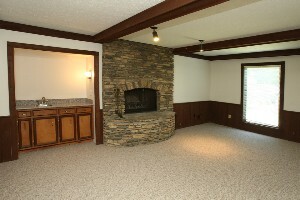 The Great Room has an attractive fireplace with tile surround as well as crown molding accents. A decorative double entry door frame leads into the Formal Dining Room with chair rail, crown molding, and tray ceiling. The Eat-In Kitchen features a wonderful breakfast bar, black appliances, and lots of cabinet space. The first floor also includes a walk in laundry room and a half bath. The Master Bedroom is nicely sized and has a walk in closet and a secluded Master Bath with double vanity, shower, and jacuzzi tub. Both secondary bedrooms are large and located close to an additional Full Bath. One of the secondary bedrooms includes custom built in bookshelves and a desk which could provide a wonderful office or storage in a child's bedroom. 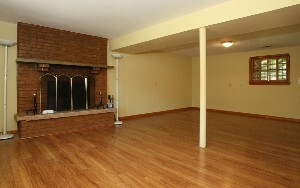 The partially finished basement houses a spacious Family Room with surround sound. The two car garage features an insulated door. 4817 Napa Ridge Way, Louisville, KY 40299 MLS #1335694 backs up to Charlie Vettiner Golf Course! The back yard is large and private with a great deck and mature trees. Another highlight of the yard space is the custom build stone patio and fire pit! What a terrific outdoor entertaining space! For more information CLICK HERE! What a beautiful home! 14108 Beckley Trace, Louisville, KY 40245 MLS 1334631 is truly "like new" with a completely renovated interior to include flooring, painting, lighting, appliances, new heat pump, new gas furnace, new thermostat, and more! The home has 4 bedrooms, 2 full, and 1 half baths and is located in the peaceful Beckley Woods subdivision. The wide front Foyer is eye catching with attractive new light fixtures, neutral paint, and slate tile flooring. 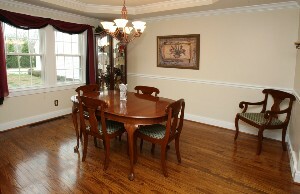 Sparkling new oak hardwood floors have been added to the Formal Dining Room, Living Room, and Eat-In Kitchen. The Formal Dining Room is accented by a chandelier fixture and decorative chair rail. The Kitchen includes brand new stainless appliances, counters, backsplash, lighting fixtures, range hood, and garbage disposal! 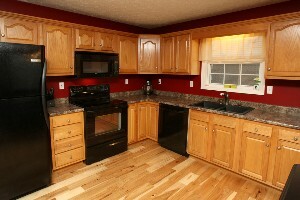 The cabinetry has all been refinished and a large pantry provides extra storage space. The Family room is a terrific space for entertaining featuring a fabulous wet bar with new granite counter top and stainless sink, rustic wood beams, and a floor to ceiling creek stone fireplace. The half bath on the first floor has received a new vanity, and a brand new washer and dryer have been added to the laundry room. The Master Suite is spacious and inviting with new paint and carpeting as well as a large walk in closet and completely renovated Master Bath. The Master Bath showcases dual sink vanity with granite top, ceramic shower, and new faucets. The three other secondary bedrooms have new carpeting as well and are good sized. There is also another fully renovated bath on the second floor. An additional Family room that is pre-wired for electronic use is located in the basement along with a gigantic oversized 2 car garage with insulated doors. 14108 Beckley Trace, Louisville, KY 40245 MLS 1334631 has a lovely Back Yard that is fully fenced and ready for outdoor enjoyment. This home is a wonderful option for families searching for a "new" home in an established subdivision. For more information CLICK HERE! You will fall in love! 1135 Oneida Ave, 40214 MLS#1334856 is a great five bed, 2 full bath, bi-level Louisville Home in a pretty neighborhood. The home has been lovingly cared for and maintained by its original owner. 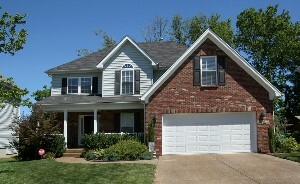 The front landscaping gives nice curb appeal and the brick entry porch is warm and welcoming. 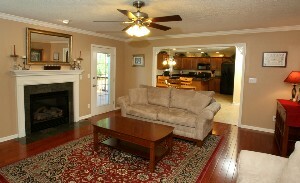 The Living Room and Formal Dining Room are an open space with new carpeting and lots of light. An Eat-In Kitchen connects to the Formal Dining Room for convenience and gives access to the back deck area. 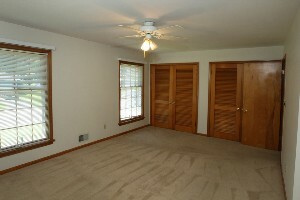 The Master Bedroom is spacious and contains two windows, dual closets, and new carpeting. A Full Bath and a good sized secondary bedroom are also located on the first floor of the home. 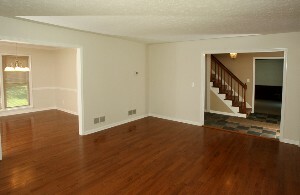 The finished Basement is wonderful with hardwood flooring, a Family Room, and Three other secondary Bedrooms. 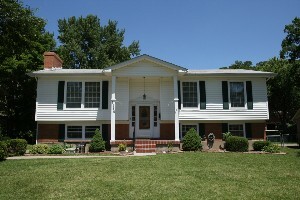 ">1135 Oneida Ave, Louisville, KY 40214 MLS#1334856 is waiting to welcome its new family. 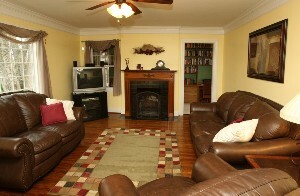 It is a wonderful option in Louisville Real Estate and a short trip to Iroquois Park! Call to schedule your showing today! For more information CLICK HERE! 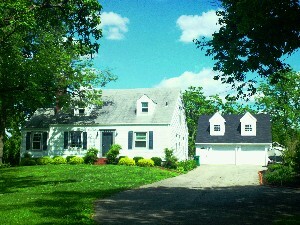 4209 Breckenridge Ln, Louisville, KY 40218 sits on just under a half acre of land. The home offers lots of privacy and space between neighboring homes, as it is bordered on either side by five acre properties. The Living Room is warm and inviting with built in shelving, a beautiful fireplace and mantel, crown molding, and shining hardwood flooring. Hardwood floors are also found in the Formal Dining Room along with a decorative chair rail, trey ceiling, and crown molding. The Dining Room connects to the Kitchen and has a wall passthrough which makes holiday entertaining a joy! A large office connects to the Kitchen and Living Room and contains beadboard, wood trim finishes, and built in shelving. The entire second floor showcases a private Master Suite with a large Master Bath and oversized 6 foot tub as well as a walk-in closet. Both secondary bedrooms and the main full bath are good sized and positioned on the first floor. A huge section of the basement was recently finished with a Recreation Room and Excercise Room. There is space and plumbing available to add a wet bar in the future. The unfinished section of the basement gives a large amount of additional storage space. While the basement is not a walkout, it does contain a door to the outside for convenience. 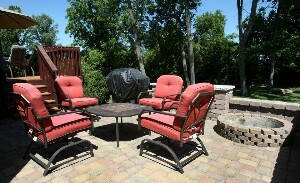 The back yard is spacious and surrounded by a row of trees and has a 20 X 16 patio area. 4209 Breckenridge Ln, Louisville, KY 40218 has received many updates over the past few years including a new water heater, heat pump, garage-siding, replacement windows, patio, built in bookcases, and new dishwasher. The oversized two car detached garage with bay doors was added just five years ago and the 375 square feet above the garage is awesome space for a workshop! Since this home is not associated with a particular neighborhood there are no homeowners association fees! What a charming home! Families seeking a wonderfully maintained home in a great area will fall in love with 447 Adrian Ave, Mount Washington, KY 40047. Nestled in the peaceful Spalding Station subdivision of Mt. Washington, this 3 bedroom brick ranch has fabulous interior and exterior updates! The welcoming front porch is a fantastic place to enjoy a lemonade and take in the summer sun. Upon entering the home, you will be captivated by the beautiful wide plank hickory flooring that runs throughout the Foyer, Great Room, Kitchen, and Hallways. The floor plan feels very open with a spacious foyer that leads to the Great Room showcasing a custom brushed vaulted ceiling. The Great Room opens to the Eat-In Kitchen with counter and cabinet space galore! The current owners have made numerous updates to the kitchen and it shows! There is an extra deep double sink and a new faucet along with a large pantry and a built in desk with overhead shelving. 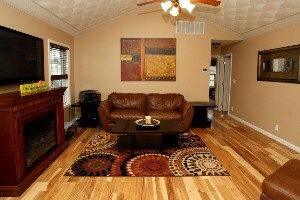 The Master Bedroom is good sized and has an attractive tray ceiling and big walk-in closet. The Master Bath recently received a new vanity. Both secondary bedrooms are roomy with easy access to the other Full Bath. The walk-in Laundry Room with overhead shelving completes the layout. The Back Yard and Patio are super for family games and cookouts. 447 Adrian Ave, Mount Washington, KY 40047 is in amazing condition inside and out and additional updates include a new Emerson Touch screen Thermomostat, new Goodman AC unit for energy efficiency, fresh paint throughout, and a new dishwasher! Even the outside of the home has been updated with new gutters and a freshly sealed driveway. What a wonderful home in a newer family friendly neighborhood!